Writing after long time for my favorite game 'cricket'. After long time we have witnessed a tournament with lots of happenings in well organized event. India's single defeat cost them departure to home. Pakistan's jubilation really hurted Indian cricket fans. Even Australia lost the match which was very unfortunate for India. Co-incidentally in semi's both teams who thrashed India out of tournament lost by big margin. That makes most Indians to keep watch on world cup results. The way West Indies outplayed Australia & Srilanka's win over pakistan the final was very unpredictive. But non cricketing logic to game was Srilanka will make spinner friendly pitches to get advantage to home conditions. Thats what they did & almost had a success. 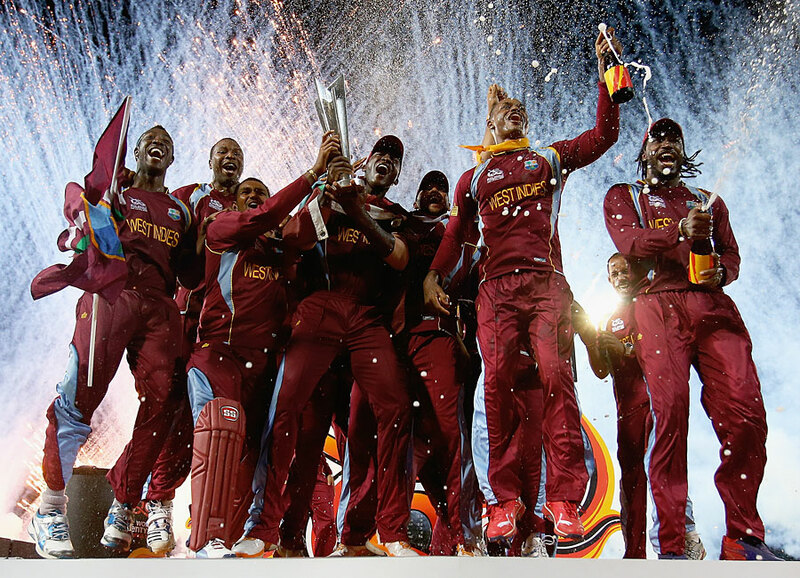 West Indies played out standing cricket for 40 overs. They stayed to crease, hit 90 runs in last 10 overs and kept momentum of game after loosing gayle early. They shown that they have more champion besides Gayle & Pollard. West Indies 'unexpectedly' bowled brilliantly & fielding comes with 2 positive blows to srilanka. It has seen that Srilankan was not expecting such defeat in home conditions. They were shocked to see their heroes down on knees in front of people who traveled most longest distance to play cricket. And they shown real game of cricket. West Indies shown that advantage of home conditions are not important, 11 players have to play good cricket & it always gets rewarded. Congratulations West Indies for this victory & I personally wish them best luck for future & it help their country to come out of devastating politics in cricket.